What's 'Abc Monday night football electronic roger staubach' Worth? 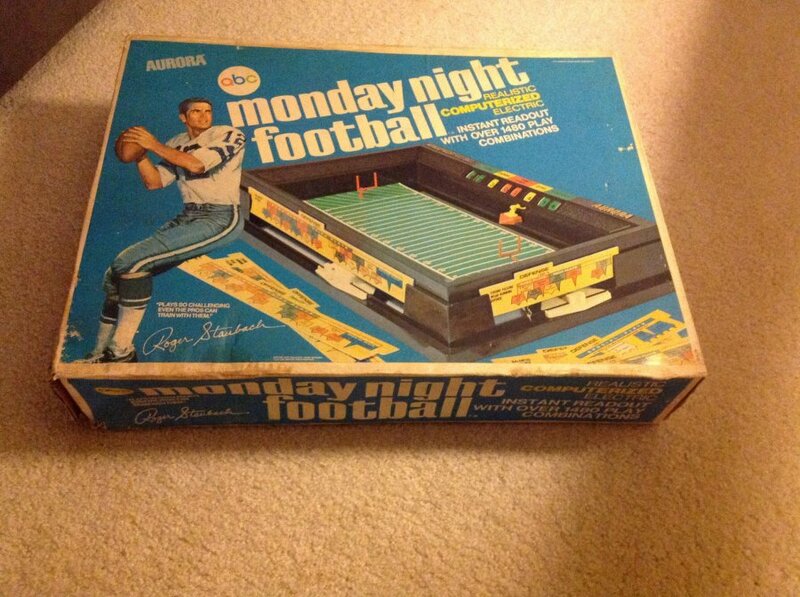 I am trying to find out the value of my 1973 Aurora abc Monday night football electronic football roger staubach game. It has never been opened. Anyone who can help would be greatly appreciated. Thanks!